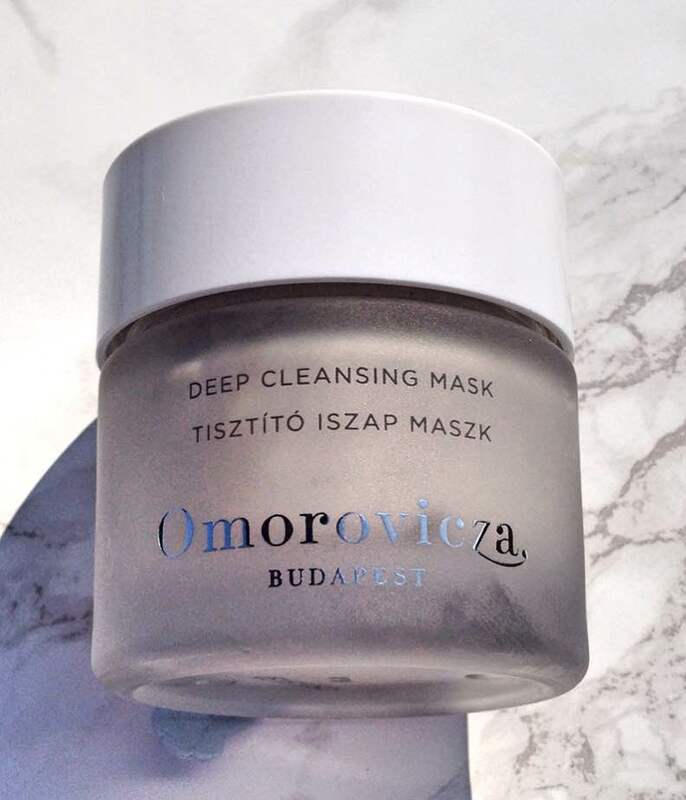 Omorovicza claim that the mineral-rich waters of Hungary, which they use in their products, contains antioxidants and anti-inflammatories, both of which have anti-ageing benefits. I'm up for anything that is anti-inflammatory because my skin is sensitive and can be quite reactive and therefore prone to areas of redness. Before I went on holiday, I had a really bad spot - one of those ones that cannot decide if it wants to come to a head or just stay where it is and make you miserable. It was sore, red and huge and it lasted for about 10 days! Because I don't generally get too many spots, I don't have many deep cleansing products in my stash so this was also another trigger to buy this mask. Most clay/mud masks I have used in the past have tingled and left my skin very dry and tight so I tend not to favour this type & use hydrating masks, but what I absolutely love about this Omorovicza mask is that it is gentle, yet effective. 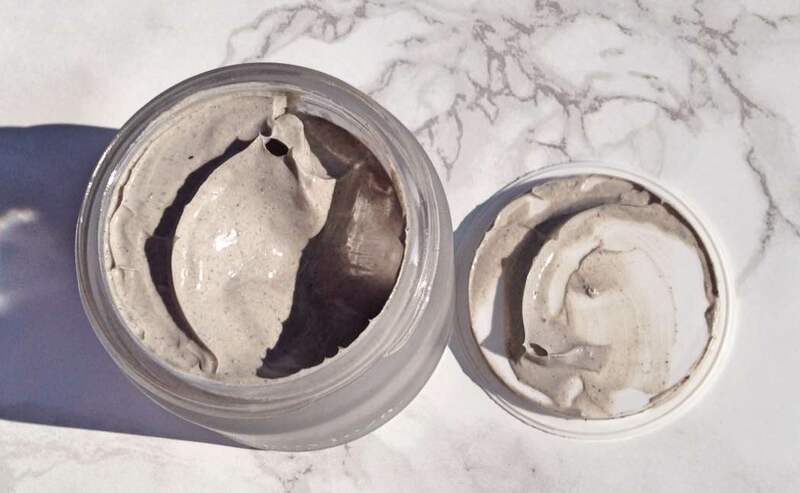 It is the lightest feeling mud mask that I have ever used (compared to Eve Lom Rescue Mask, GLAMGLOW Super Mud or Power Mud and Borghese Fango Active Mud Mask) and initially, I wondered if it would do a good job of giving a really deep cleanse because it was so much lighter on the skin than others I've tried. However, I need not have worried because I have been using this twice weekly for 3 weeks now and my skin is looking very clear and I have not had a single breakout or blemish since I started to use this mask. It doesn't tingle, doesn't leave my skin looking red (thanks to the anti-inflammatory properties), doesn't leave my skin feeling tight (or needing a hydrating mask afterwards) and is everything I could want in a deep cleansing mask! This mask is expensive at £57, so I am not saying that everybody should rush out and buy it but if you have skin similar to mine (dry/dehydrated/lacking natural radiance/gets the occasional spot/some congestion in the chin area and along the jawline), then I would highly recommend keeping an eye out for a discount code on Cult Beauty/Look Fantastic/Feel Unique before ordering or adding to your Birthday or Christmas Wishlist! I now want to try more products from Omorovicza, but will wait for more discount codes and until I have finished some products on my ever-heaving shelves! Have you tried anything from Omorovicza before? Do you like deep cleansing masks or do you have a preference for a different type of mask? I'd love to hear!